Plug and Play was founded in 2006 and is headquartered in Sunnyvale, California. 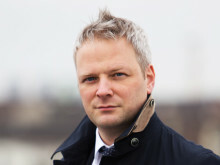 They connect the largest corporations to the world's best startups through industry-focused accelerator programs in Silicon Valley and beyond, for example in Berlin and Shanghai. With over 6,000 start-ups and 280 official corporate partners, the platform has created start-up ecosystems in many industries including supply chain and logistics (Logtech). Companies in Plug and Play’s community have raised over $7 billion in funding, and successful portfolio exits included Dropbox, PayPal and SoundHound. This short video explains how start-up companies benefit from Plug and Play. 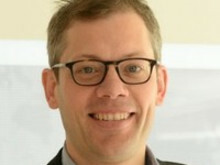 “Since Panalpina is a major player in the freight forwarding and logistics industry and known for their culture to drive innovation, the start-up ecosystem and our industry-leading corporate partners are very much looking forward to their participation in the Plug and Play accelerator program,” says Mike Zayonc, founder of Plug and Play Supply Chain & Logistics. As an ecosystem partner for the Plug and Play Supply Chain & Logistics platform, Panalpina will join the likes of Maersk, CMA CGM, Lufthansa Cargo, DHL, Swiss Post as well as Ericsson, BASF and Panasonic. “The new partnership will increase our visibility in the digital ecosystem and greatly facilitate connecting with start-ups. Our goal is to test, develop and validate promising start-up technologies before potential commercialization. Ultimately, we want to shape our industry’s future with innovative digital solutions that create new levels of value for our customers and accelerate growth for our company in the years to come,” explains Graf. 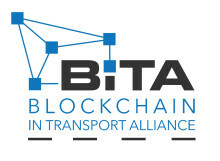 Earlier this year, Panalpina also joined the Blockchain in Transport Alliance (BiTA) and launched the Digital Hub to promote innovation in freight forwarding and logistics.